We have a Co2 compensation programme going on in Mexico, in El Rancho Las Américas, in which our team composed of 78 workers plant around 5.500 trees daily. On a global level, we make Plant-for-the-Planet Academies in order to identify young leaders in Climate Crisis and citizenry, the future decision-makers for our planet’s management. In Spain we have initiated the “Clima Rural” Programme, destined for the regeneration of burnt forests in rural areas. Through it, we aim to involve enterprises and institutions which are interested in compensating their emissions, as well as give tools to the youth in the area for them to become rural climate leaders and future “guardians of the territory”. 10% of the sale price of this neckwarmer is donated to Plant-for-the-Planet. For further information about Plant-for-the-Planet, visit this page of the NGO. 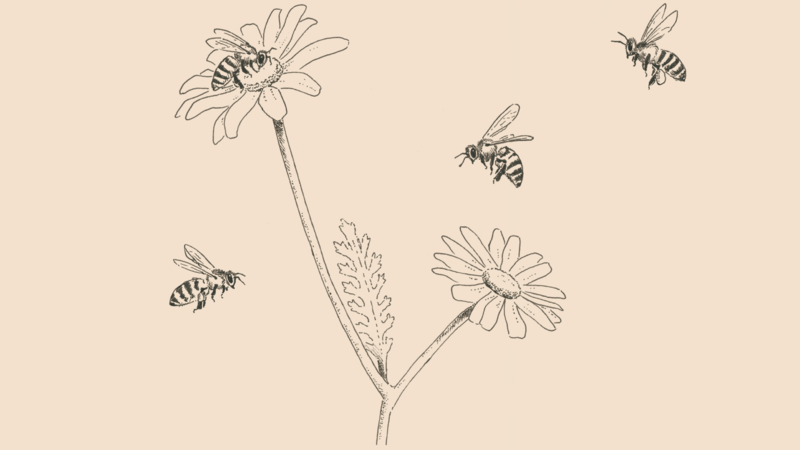 Learn more about the Teide Daisy and the Canary Black Bee, the species printed on Plant-for-the-Planet neckwarmer. Plant-for-the-Planet was created by a German child of 9 years of age in 2007, after doing a class project on the Climate Crisis. 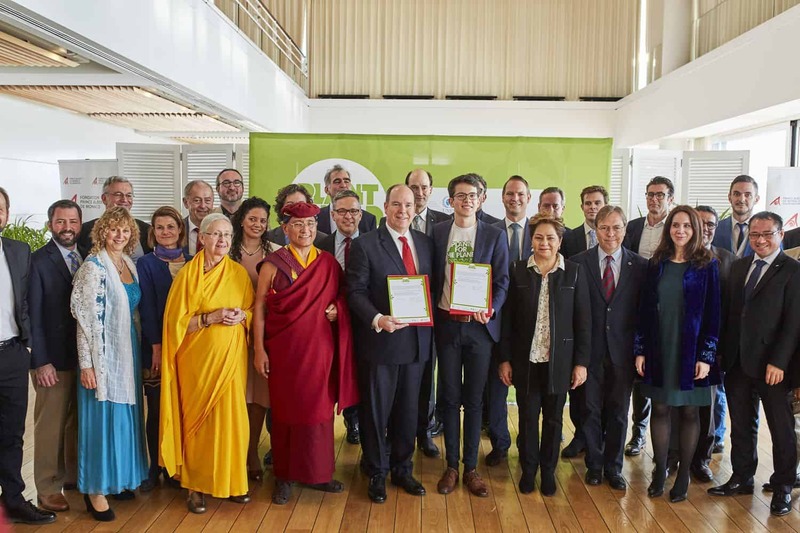 Thanks to it, he came to the conclusion that “adults are not doing anything to mitigate the Climate Crisis’ effects and it’s us children who should take action to shape a better and more sustainable planet”. Felix Finkbeiner, the founder, began to spread the idea to other kids like him, and many started supporting the project. 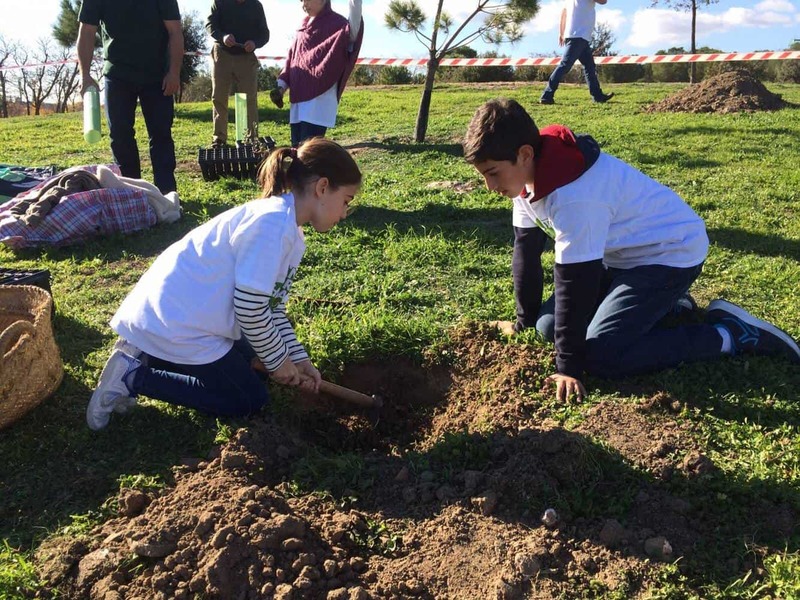 Together, they all initiated actions to raise awareness on the issue and started planting trees as well in order to compensate for our Co2 emissions. Felix visited Spain in 2011 and amazed Josep Santacreu parents, who worked to expand the association around the Spanish Territory. There are currently 6 international offices, from which Plant-for-the-Planet Ambassadors from living all around the world take action and coordinate themselves in web in order to maximise their impact. Through volunteering in a particular or corporative sense, supporting Ambassadors’ actions and in Plant-for-the-Planet Spain and worldwide. Acting as a “broadcaster” of the Foundation and spreading our word in social media or specialized forums in Climate Crisis, leadership or education. Sponsoring the Foundation’s actions. Enterprises can do it as part of their Social and Corporative Responsibility / Social Action. Providing contributions for the consecution of actions and objectives of the Foundation. Working with children and youth, it would be strange not to have any! 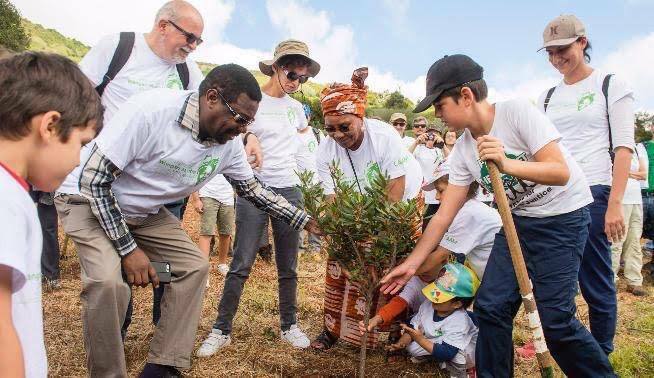 From kids who “compete” to see who plants more trees during Academies, to Ambassadors who participate in actions already organised by themselves as is the case of our “Inter-generational Dialogues”. But us adults also have the capacity to star in anecdotes or curious situations. Once, during a “Clima Rural” activity, we went to talk to the owners whose territory got burnt, in order to offer them the opportunity to regenerate their forests. In exchange, we asked them to cede us the equivalent to Tm of Co2 captured by those trees during the following 40 years in order to give it to enterprises or particulars who are interested in investing in that regeneration… you should have seen their faces, we were offering them trees in exchange for air, they could not believe it! 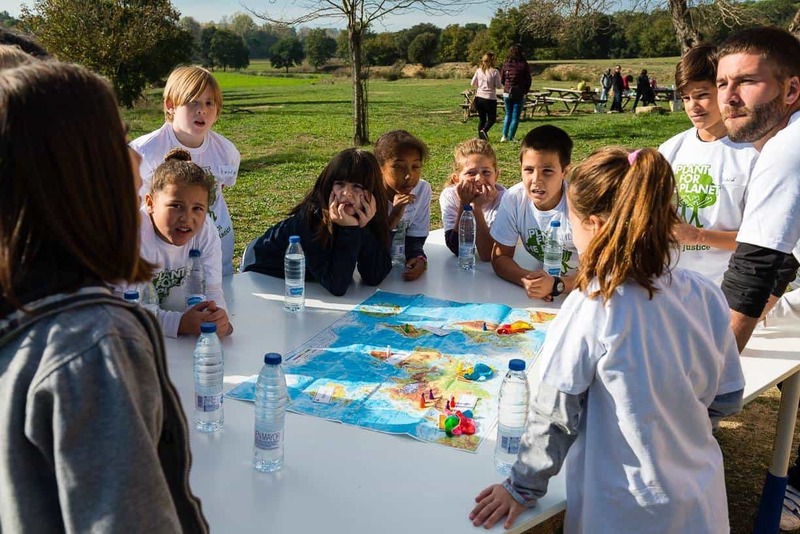 We hope that when the current and future Plant-for-the-Planet Ambassadors reach decision-taking positions, they work in web with the rest of their team members and incorporate climatic, environmentalist and sustainable criteria in their decisions. Sadly, it is only recently that we are giving to Climate Crisis the importance that it really has and what it can mean for our future and our planet’s. We tend not to give value to those intangible things, and the Climate Crisis is not easily tangible, but latest data warn us from it: melting of the poles, plastic “islands” in the middle of the oceans, more natural disasters than ever… all of these have helped us to finally become aware of the importance of the problem, even if it has been in a sadly forceful way. 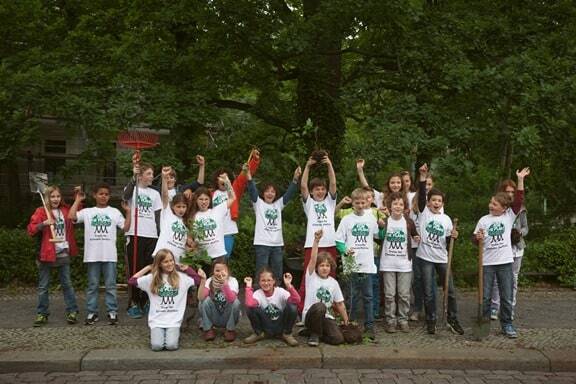 More than 70.000 Plant-for-the-Planet Ambassadors worldwide. In Spain, over 3.000 Ambassadors have been qualified. More than 1.000 Plant-for-the-Plant Academies done in more than 70 countries all over the world. Management of the World’s Tree Counter, promoted by the UNEP (United Nations Environmental Programme), which counts all trees planted by any institution that reports it to the United Nations. There are currently more than 17.000 trees compromised to be planted and many others already planted all over the world. In El Rancho Las Américas, in the Mexican state of Campeche, trees are daily planted in order to compensate for Co2 emissions by particulars and enterprises. Nowadays, more than 2 million trees have been planted and it is planned to plant 10 million trees more by 2020. To identificate, train and empower young leaders as the future managers of our planet. To regenerate burnt forests in Spain, with autochthonous species suitable for the area’s conditions, while hiring local population in risk of exclusion for all our forest work. To strengthen Plant-for-the-Planet Spanish Ambassadors’ Web through the creation of local clubs that contribute both to the national and the international ambassadors’ web. To have 10.000 Plant-for-the-Planet Ambassadors in Spain. Regenerate, to say the least, 500 hectares of burnt fires as part of the “Clima Rural” Programme. To involve, to say the least, 20 Spanish enterprises in Plant-for-the-Planet’s initiatives. Currently, more than 80% of our funds come from private enterprises and particular donors. The rest of the funds come from public local, autonomous, state or European grants. 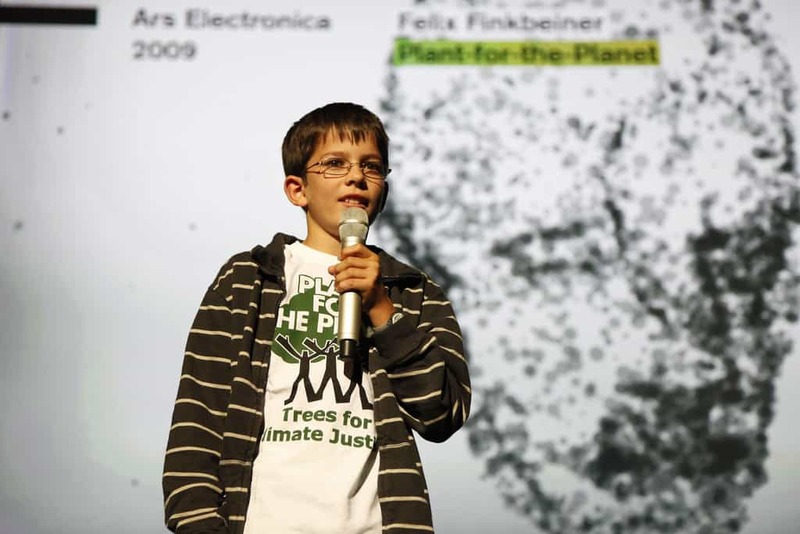 The “focal point” to which all Ambassadors look up to is doubtlessly Felix Finkbeiner, the kid who founded Plant-for-the-Planet. However, he himself followed the example of Wangari Maathai, the environmentalist activist and politician from Kenya. She lead the plantation of more than 30 million trees in her country done by entrepreneur women. Maathai is and will always be a reference for our movement. All of our daily actions suppose Co2 emissions in the atmosphere, and it is therefore in our hands to mitigate those practices that create emissions (through the use of public transport, by sharing, by avoiding unnecessary plastics, etc.). On the other hand, it is also of foremost importance that we compensate those actions that also suppose emissions, but we cannot avoid doing. If 10 years ago we’d have been told that recycling would be naturally implemented in our everyday life and that the first pursuers of this goal would be children, we wouldn’t have believed it, but it turns out it is now. In Plant-for-the-Planet we have the hope that something similar will happen with the Climate Crisis, which is why we work hard to identify these young coming leaders. We aspire that, when it is their responsibility to rule the world, they will do it following climatic and eco-friendly criteria. We can promise you, there are many young girls and boys with great potential!